TULSA, Okla. – Oct. 24, 2017 – Indie developers, publishers, streamers, podcasters, cosplayers, performers, professional gamers, and more gathered in Downtown Tulsa October 13-15 for the second annual XPO Game Festival. The event brought notable industry professionals, including: keynote speaker Chris Avellone; live music by Bit Brigade, Heatbox, Metroyd Myk, and The Returners; a number of educational panels from speakers from What’s Good Games and Game Attack – and high-intensity eSport tournaments presented by Osage Casino. The show floor at the Cox Business Center was packed with a variety of exhibitors ranging from retro and tabletop games to indies, VR … and even laser tag! With so many great titles available to demo it was tight competition for this year’s Audience Choice Award – which was given to the team at OverHook Games for their origami-inspired, meditative mobile puzzle game Zenfold. Throughout the festival, eSport teams faced off in popular titles such as Overwatch, Hearthstone, Rocket League, Halo 5, Super Smash Bros. 4, and Marvel vs. Capcom: Infinite. The League of Legends tournament boasted a $10,000 prize pool distributed among the winners. Taking to the battlefield, Warriors landed in third place – with Solo Queue taking second place, and Kansas Wesleyan University emerging victorious as the first place winners. The Wichita State University Overshocks team placed first in the Overwatch tournament. For Rocket League, Future took first place, and High Octane took second place. Sebastian Pineda won the Hearthstone tournament, and Damon Morris won Halo 5. All PC tournaments were managed by Oklahoma eSports. This year’s cosplay contest was another XPO highlight. Hosted by Mythos Creations, attendees could strut their cosplay creations across the festival’s main stage. The contest included some popular cosplay characters such as Ghost from Call of Duty: Ghosts, Charizard from Pokémon, and an NCR Ranger from Fallout: New Vegas. Three winners were selected: Brianna Duncan (a.k.a. Bree Lime Pie) as DC Comics’ Harley Quinn (3rd Place); Sarah Lee (a.k.a. Azure Dahlia) as Gunner Yuna from Final Fantasy X-2 (2nd Place), and Dustin Skinner (a.k.a. Dustin Digitaria) as Ganondorf Dragmire from The Legend of Zelda series (1st Place). Ever since Osage Casino opened its first casino in 2002, it hasn’t stopped growing. Osage Casino now boasts seven locations, all in Osage County. Located in Tulsa, Bartlesville, Sand Springs, Ponca City, Skiatook, Hominy and Pawhuska, Osage Casino prides itself on serving customers’ individual needs and exceeding guests’ expectations. All seven properties feature exciting gaming action as well as a variety of dining choices from a casual drink to an all-you-can-eat buffet. Overnight lodging is currently available in Ponca City and Skiatook, and a brand new resort hotel is now under construction in Tulsa. Scheduled to open in 2018, this addition will feature a brew pub, expanded event center and conference facilities. Osage Casino is committed to delivering exceptional personal service and offering guests the best gaming experience in Oklahoma. For more information on Osage Casino, please visit http://osagecasino.com. VisitTulsa, a division of the Tulsa Regional Chamber and Tulsa Regional Tourism, is dedicated to promoting the Tulsa region as a premier destination for global leisure travel and convention business. VisitTulsa partners with area hotels, attractions and restaurants – leading a united effort to draw visitors to the region and grow the economic impact of the tourism industry. For more information on VisitTulsa, please visit http://visittulsa.com. Presented by VisitTulsa and the George Kaiser Family Foundation, XPO is a festival for gamers, fans, developers, and game industry leaders. Join thousands of other gamers in Tulsa for a packed expo floor, panels and speakers – and a first look at new gaming technology. For more information on XPO, please visit http://xpotulsa.com. TULSA, Okla. – Oct. 10, 2017 – VisitTulsa is proud to announce that the XPO Game Festival’s newest sponsor, Osage Casino, will present a number of eSports tournaments at the show! These events will be managed by Oklahoma eSports, and registration is open to the public. Tournaments include League of Legends, Overwatch, Hearthstone, Rocket League, and Halo 5. Additional console fighting tournaments for Super Smash Bros. 4 and Marvel vs. Capcom Infinite will be managed by Dragonslayer Games and Game Over Entertainment. XPO is excited to provide a $10,000 prize pool for the League of Legends tournament, in addition to prize money for all competitions. Building on the success of last year’s event, XPO 2017 boasts a jam-packed lineup of entertainment, attractions, and activities – including professional cosplayers, retro lounge, tabletop play, laser tag, VR showcase, indie alley, and musical acts. Attendees have much to look forward to October 13-15 at the Cox Business Center in Tulsa, Oklahoma! Retro Lounge: OK Gamers – Attendees can enjoy full-sized arcade cabinets and retro game consoles on CRT televisions. Cosplay Contest: Mythos Creations – Master-level costumers Saya, Hikaruhime, and Tsukiko who have won 25 awards (including 9 “Best in Show” prizes) will be judging the cosplay contest this year! VR Showcase: Novastar Gaming – Attendees can enjoy the latest (and greatest!) VR titles running on HTC Vive rigs. Indie Alley: This area will be packed to the brim with indie games and developers from around the world. Most people don’t consider a vintage Nintendo Game Boy to be a musical instrument. Those people haven’t met Metroyd Myk. Everyone’s favorite game music played like never before – from Zelda to Undertale. The definition of “a one man show,” Heatbox takes the stage to deliver an incredible beatboxing performance. Get ready for both popular gaming tunes and original songs from this superlative indie artist. Speedrun rockers Bit Brigade return to XPO for an encore performance. Attendees will get to watch them speed through classic Nintendo games while playing the soundtrack live! On the menu this year: Castlevania, Batman, and … DuckTales! Weekend Passes (Friday-Sunday) are available for $65 with Single Day Passes (Friday, Saturday or Sunday) available for $35 each. A 25% discount is available for students only. Just type “Student” (capital “S”) after clicking on “Enter Promotional Code” when ordering through Eventbrite. All ages are welcome! Attendees can sign up onsite for Marvel vs. Capcom: Infinite and Super Smash Bros. 4 tournaments – along with other activities such as the cosplay contest and tabletop play. Tulsa’s largest game festival returns to Cox Business Center October 13-15! TULSA, Okla. – Aug. 21, 2017 – VisitTulsa is happy to welcome a number of YouTube and Twitch streamers to the second annual XPO Game Festival – held October 13-15 at the Cox Business Center in Tulsa, Oklahoma. VIP streamers include Twitch Broadcaster and Counter Logic Gaming streamer iKasperr, Craig Skistimas and Shaun Bolen of Game Attack, Twitch-partnered streamer Kintinue, Twitch streamers ToothpickVic and Shoagie – and What’s Good Games’ Brittney Brombacher, Kristine Steimer, and Andrea Rene. “Taking Over the World with What’s Good Games”: The WGG crew (Andrea Rene, Kristine Steimer, and Brittney Brombacher) will discuss the creation of their gaming media powerhouse – including how they got their start in the game industry, and what brought them together. “From Passion to Paycheck”: Counter Logic Gaming’s all-star streamer iKasperr has been climbing the ranks of livestreaming stardom since 2012. He’ll be sharing his personal journey from young charity advocate to rising superstar and how the melding of his passion for video games and charity fundraising helped skyrocket him to success. “Finding Success in the Streaming Biz”: iKasperr will team up with fellow streamers Kintinue, ToothpickVic, and Shoagie to talk about breaking into Twitch and playing video games for a living. “The House that Game Attack Built: An Hour with Craig & Bolen”: Craig Skistimas and Shaun Bolen of Game Attack will discuss their careers and offer advice for anyone who wants to become a part of the industry, build communities, and get their voices heard. Game Attack will also be broadcasting directly from the XPO show floor in the XPO Streaming Lounge. The streamers will join a distinguished lineup of game industry veterans, including keynote speaker Chris Avellone – the legendary writer and game director best known for his work on Planescape: Torment, Star Wars: Knights of the Old Republic II: The Sith Lords, Fallout 2, Fallout: New Vegas, Divinity: Original Sin II, and Prey. Other speakers include Nick Chester (Epic Games), Chris Schroyer (Telltale Games), Matt Raithel (Graphite Lab), Josh Manricks (Secret Location), Mary McKenzie (Volcano Bean) – and many more! Self-proclaimed “nerd-entrepreneur” hailing from Seattle, WA, Brittney currently runs the video game website BlondeNerd.com. Built in 2011, BlondeNerd.com kept Brittney sane while she was working at a dead-end, 8-to-5, 40-hour-a-week job – and it helped her realize that she belonged in the game industry. She ultimately quit her job, started a side gig to pay the bills (it’s important to do that, after all) – and she now spends the majority of her day producing content for her website, podcasting, creating YouTube videos, and covering video game events/conventions worldwide. Kristine (a.k.a. “Steimer”) has been in the game industry for the past 10 years. Her career kicked off doing public relations for Microsoft Game Studios – but she quickly transitioned into media for IGN, where she developed a love for content creation. After IGN, she tested the waters of game development for BioWare Social before moving onto the community management team at PlayStation. Her final pit stop before joining WGG was also in community management – this time for CD Projekt Red. Andrea Rene is an on-camera host, producer and writer. You can watch and listen to her video game commentary every week on the What’s Good Games podcast. She also co-hosts on the video game news show Kinda Funny Games Daily. She was recently seen at the Electronic Entertainment Expo (E3) producing and hosting the “Raise Your Game” Facebook Live stage – and she was a guest contributor for YouTube’s Live at E3, IGN’s Up at Noon, and GameSpot. She’s been featured on Viceland, Spike TV, Yahoo Esports, ABC, DC All Access, GameStop TV, and more. Game Attack is made up of Craig Skistimas and Shaun Bolen. The proclaimed World Tag Team Streaming Champions of Earth launched Game Attack with the goal of having the best community online. Completely backed by their audience, Game Attack streams nearly 30 hours a week on YouTube Gaming – and despite only having just over 100,000 subscribers, they have more YouTube Sponsors than any other channel on the platform. Daniel “iKasperr” Bong is a Twitch broadcaster, streamer for Counter Logic Gaming, the director/manager of the broadcasting team Main Menu, and the community manager for the charity crowdfunding website Tiltify. After spending six years in college to obtain two separate bachelor degrees, Kasper used all of that hard-earned credibility for a whopping nine months as an English teacher before pursuing his goal of becoming the next Starcraft 2 World Champion! After that dream faded (almost instantaneously), he started playing and broadcasting other games, which slowly led to his involvement with Twitch, Main Menu, and CLG. His passion for video games is only rivaled by his passion for charity – which led to his community involvement with Tiltify, a website that enables content creators to fundraise for their favorite charities in an easy and efficient way. Gaming and a passion for charity?! What next? You’re going to tell us he likes long walks on the beach? … Well, he does. Twitch Partnered Broadcaster Kintinue has been a full-time variety caster for the last two years – focusing heavily on community involvement, charity work, and indie games. This goofball loves gaming, her community, and cats. She has been promoted on Twitch’s Partner Spotlight, spoken on panels, and taken part in Twitch’s Host and Interview workshop – as well as PJSaltan and other exciting events. ToothpickVic is a streamer, dad, dad joker, community man, and professional troll target. Variety streamer with the goal of having fun, spreading love and root beer (or rum) – and the joys of watching an old(ish) man do push-ups for dying too much in-game. Shane “Shoagie” Osborne is a community manager, charity streamer, and convention addict. He is a collegiate adviser for eSports Initiative at Ohio State University and a guild leader for Extra Life Columbus. Charity and event organizing is the name of the game and something that is his passion. Eating everything in sight, throwing cookies at PAX attendees for charity, and collecting gaming swag to spread to the masses are just a few things he does for fun. XPO Game Festival promises to be bigger and better than ever this year. Following its inaugural event in 2016, XPO boasts a jam-packed weekend where attendees will have opportunities to attend panels, demo games, compete in tournaments, enjoy tabletop games, join cosplay contests, relax in a retro gaming lounge, and more. For more information visit http://xpotulsa.com. Early Bird Weekend Passes are available for $65 until September 1, 2017. Single Day Passes (Friday, Saturday or Sunday) can be purchased for $35 each. All ages are welcome! XPO 2016: Thanks for the Memories! TULSA, Okla. – July 27, 2017 – VisitTulsa is thrilled to share that Chris Avellone – best known for his work on Planescape: Torment, Star Wars: Knights of the Old Republic II: The Sith Lords, Fallout 2, Fallout: New Vegas, Divinity: Original Sin II, and Prey – will be keynote at this year’s XPO Game Festival held October 13-15 at the Cox Business Center in Tulsa, Oklahoma. The keynote, entitled “Development & Design,” will focus on development lessons accumulated through trial and error (and a little success). These lessons are intended to help developers and designers avoid the same mistakes and improve the quality of their games. From early foundations in school to managing scope on larger projects, Chris Avellone will run through a variety of topics that can help the workflow of games currently in development. “Having Chris Avellone keynote at this year’s XPO Game Festival is a dream come true for everyone at the show. His unique insights and wealth of experience in both indie and AAA role-playing games will take the event to a whole new level,” adds Matt Stockman, event manager at XPO Game Festival. Chris joins a distinguished lineup of game industry veterans who will cover an assortment of timely topics ranging from eSports and VR to game development tips and tricks. Featured speakers include Richard James Cook (Game Developer & Filmmaker), Chris Schroyer (Telltale Games), Rey Gutierrez (BlackWhiteBlood), Craig Deskins (Riot Games), Josh Manricks (Secret Location), Jenny Gibbons (Woodsy Studio), Matt Milizia (Frostkeep Studios) – and many more! Chris started his escape from reality by freelancing for a number of pen and paper role-playing game companies in high school before Interplay foolishly hired him as a game designer in 1996. He worked on most if not all of Black Isle’s internally developed projects, including Planescape: Torment (Lead Designer), Fallout 2, the whole Icewind Dale series, and Baldur’s Gate: Dark Alliance, and a number of canceled titles that still make him weep, including Baldur’s Gate 3 and Fallout 3. Chris was Lead Designer on Star Wars Knights of the Old Republic II: The Sith Lords, moved on to a Senior Design role on Neverwinter Nights 2 and Mask of the Betrayer, worked briefly as the Creative Lead of the Aliens RPG, and then went on to be lead designer on Alpha Protocol, SEGA’s espionage RPG. He worked on Fallout: New Vegas as a Senior Designer, and went on to be Project Director of most of the Fallout New Vegas DLCs (Dead Money, Old World Blues, and Lonesome Road). Other works include inXile’s Wasteland 2, Pillars of Eternity, the FTL: Advanced Edition, inXile’s Torment: Tides of Numenera, Divinity: Original Sin II with Larian Studios, Planescape: Torment: Enhanced Edition with Beamdog, and Arkane Studios’ Prey. He is currently working on Into the Breach with Subset Games (the makers of FTL) and was part of two successful Kickstarters: the reboot of System Shock with Night Dive Studios, and Pathfinder: Kingmaker with Owlcat Games. He is reported to be friendly, non-toxic – and his mother still doesn’t understand what he does on a daily basis, but he loves her anyway. Presented by VisitTulsa and the George Kaiser Family Foundation, XPO is a festival for gamers, fans, developers, and game industry leaders. Join thousands of other gamers in Tulsa for a packed expo floor, panels and speakers — and a first look at new gaming technology. VisitTulsa, a division of the Tulsa Regional Chamber and Tulsa Regional Tourism, is dedicated to promoting the Tulsa region as a premier destination for global leisure travel and convention business. VisitTulsa partners with area hotels, attractions and restaurants — leading a united effort to draw visitors to the region and grow the economic impact of the tourism industry. Tickets on sale now; early bird discounts available! TULSA, Okla. — Feb. 16, 2017 — VisitTulsa is proud to announce that the XPO Game Festival is coming back to Tulsa’s Cox Business Center October 13-15. Get ready for another weekend filled to the brim with games, tournaments, panels, cosplay contests, and much more. The second annual XPO Game Festival aims to bring gamers, developers, industry leaders, and personalities together at the nexus of America’s Heartland in a celebration of video game culture. Featuring a dedicated tabletop gaming area, retro gaming lounge, laser tag, panels and a full-sized expo hall, XPO Game Festival is sure to leave attendees with happy, lasting memories once again. Tickets are now available online and can be purchased through Eventbrite. Until September 1, Early Bird weekend passes can be purchased for $65. Single Day (Friday, Saturday, and Sunday) passes are available for $35 each. The inaugural XPO Game Festival took place in September 2016 with more than 1,600 attendees — featuring panel discussions with guests from Blizzard, Epic Games, Daybreak Game Company, Boss Key Productions, GamesRadar+, thatgamecompany, and more. Attendees had the opportunity to demo games on the HTC Vive and Oculus Rift VR headsets and play great indie games before they were available to the public. Even the fabled Nintendo PlayStation prototype console made an appearance. Other highlights consisted of a full tabletop gaming library, tournaments, cosplay contests, a retro gaming lounge, exclusive after-parties (with live music), and more. Passes are available now for purchase onlineEventbrite. Until September 1, Early Bird weekend passes can be purchased for $65. Single Day (Friday, Saturday, and Sunday) passes are available for $35 each. TULSA, Okla. — June 28, 2016 — Mark your calendars: The XPO Game Festival is coming to the Cox Business Center in Tulsa, Oklahoma September 23rd through 25th. (The official kickoff party takes place on the evening of September 22nd.) Get ready for a weekend filled to the brim with games, tournaments, panels, cosplay contests, and much more. XPO Game Festival is a first of-its-kind festival for gamers, developers, industry leaders, and personalities to come together and celebrate video game culture. Featuring a dedicated tabletop gaming area, retro gaming lounge, laser tag arena, and pre-festival events such as film screenings, XPO Game Festival is sure to offer something for players of all stripes. If you’re looking for competition and eSports, there’s a $10,000 Rocket League tournament produced by LegionBattles. Learn about the game industry from some top speakers at the festival’s many panels and workshops. You’ll be able to explore virtual reality like never before in a special VR environment. Or if you prefer to try something completely different, put your teamwork skills to the test at The Escape Tulsa — a special event that few have experienced. Don’t miss the Indie Alley, where the best (and most unique) independent games from around the world will be featured. You’ll be able to play hidden gems and mainstream indie titles alike — and even chat with the developers. Studios will be hand-picked by XPO organizers to showcase some of the brightest talents in the industry. If you need a place to chill out, be sure to stop by the Retro Lounge and check out our massive collection of old-school arcade games. After you’ve had enough of the arcade, kick back and relax on the couch and enjoy some classic console games. At any time, you can always get in the groove and enjoy live music performed by “chip hop” artist Mega Ran, old-school Nintendo rockers Bit Brigade, and YouTube sensation Brentalfloss. What’s a festival without a party . . . or three? Official afterparties will be held all weekend long. Join us at any of the venues around the Cox Business Center for a spirited celebration of video game culture. Until August 1st, Early Bird passes can be purchased for $35/day or $65 for a weekend pass. As of August 1st, the weekend pass will increase to $75. Tickets and passes will include admission to afterparties on Thursday, Friday and Saturday night. Afterparties alone (no event privileges) are $20/night or $50 for a weekend pass. Online registration is expected to begin this week. 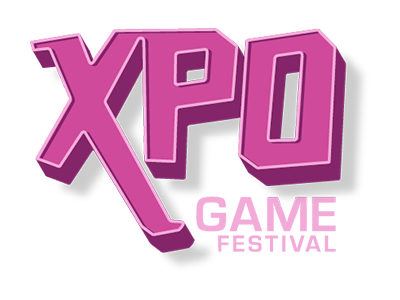 Presented by VisitTulsa and the George Kaiser Family Foundation, XPO is a festival for gamers, fans, developers and game industry leaders. Join thousands of other gamers in Tulsa for a packed expo floor, panels and speakers, and a first look at new gaming technology. Other highlights include an independent game showcase, exclusive after parties with live music, tabletop games, cosplay contests, a retro gaming lounge, and general game badassery. VisitTulsa, a division of the Tulsa Regional Chamber, is dedicated to promoting the Tulsa region as a premier destination for global leisure travel and convention business. VisitTulsa partners with area hotels, attractions and restaurants, leading a united effort to draw visitors to the region and grow the economic impact of the tourism industry.